The Global Health Insight Network launched in Amsterdam Monday to pull together and compare healthcare data from across borders to improve patient outcomes and make care delivery more efficient. Members of the not-for-profit organization from Europe, Asia and the U.S. will compare their data with those of similar hospitals around the world, giving members points of relativity so they know where to improve and allowing them to share best practices with each other. The information-sharing platform, built on analytics technology from Berkeley Research Group, will provide members with a standardized data set with which to measure operational efficiency and patient outcomes. Members will also share information about what they've learned and what they're working on at an annual conference. The goal of all that information sharing, said GHIN President Tom Jackiewicz, is to improve patient care. "The demand for healthcare keeps increasing, and we're all looking for ways to improve healthcare and deliver better healthcare for less money," said Jackiewicz, who's also CEO for Keck Medicine of USC in Los Angeles. 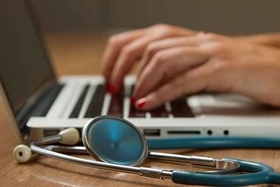 Data is key to effecting change, particularly in the data-driven healthcare industry, he said. "Having the data infrastructure to drive change is a critical part of this and will really move the needle in the countries involved," he said. Since the network involves healthcare leaders from around the world, those leaders will be able to examine variations in clinical data to understand how differences in healthcare practice are manifested. "It's incredibly exciting because it's an opportunity to leverage the collective healthcare IQ to improve care for patients everywhere," Jackiewicz said. Eventually, in addition to driving changes in healthcare delivery, Jackiewicz hopes also for the network to drive changes in policy. He also hopes for the network to add more countries, including China.